Police are appealing for information following a hit-run collision in Rye on 11 November. Investigators have been told two men left a licensed premises on Point Nepean Road about 9.20pm after being escorted out by security. The pair got into a black ute and began driving towards a ‘no exit’ area onto Point Nepean Road. A security guard tried to deter the pair from driving in the wrong direction as the car continued rolling forward. He grabbed the driver’s side of the car in an attempt to stop it, however the driver accelerated, causing the security guard to fall and strike his head on the pavement. The 61-year-old man was taken to hospital, where he remains in a stable condition. The vehicle, believed to be a Holden VF SS Commodore, fled the scene. 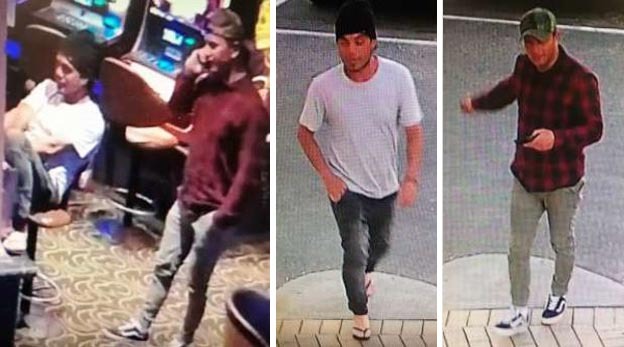 Police have released images of two men who may be able to assist with their enquiries. One was wearing a black and red checked shirt, light-coloured pants, dark sneakers and a cap. The second wore a black beanie, white T-shirt, jeans and thongs. Police have also released an image of the ute believed to have been involved in the incident. The ute had a ribbed hard-top lid.